In January we wrote about expected rate hikes by the Federal Reserve and what they could mean for mortgage rates. Since then we have seen the Federal Reserve increase rates slowly, yet we are still experiencing near record low mortgage rates. Mortgage supply near the end of the year has caused mortgage rates to increase slightly. With eminent additional Fed increases, it’s quite possible to see a continued trend. Speculation of further rate hikes, a growing economy, and political uncertainty will likely fuel an increase in rates over the remainder of 2016. The real estate market has had an incredible recovery, so there is room to increase rates. Increasing rates would even be prudent. 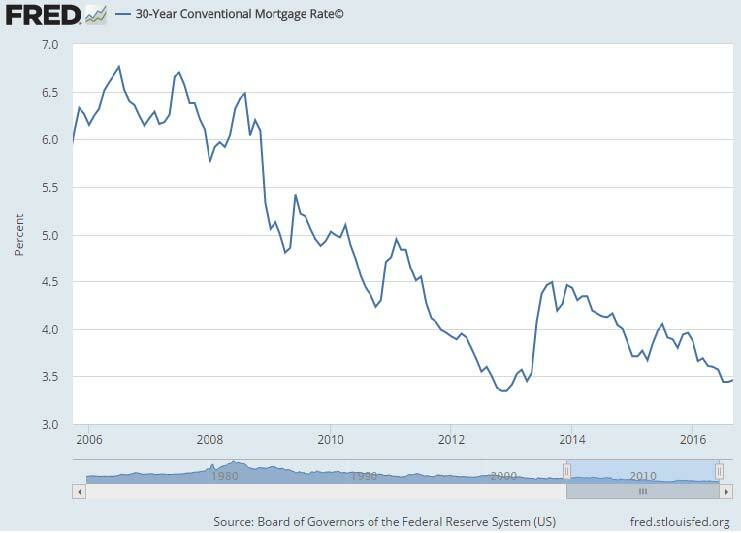 When you look at the 10-year mortgage rate chart, it really puts into perspective the reality of 5- 6% interest rates, which we had just a few years ago. Borrowers and their advisors need to understand the impact these increases could have on their ability to purchase. In a second home market, the most advantageous pricing for a mortgage goes to the borrower that can support the property as a true second home, meaning he will not rely on the income of the property. The “Debt to Income” chart illustrates the monthly cost and debt servicing ratios per million in borrowed funds. 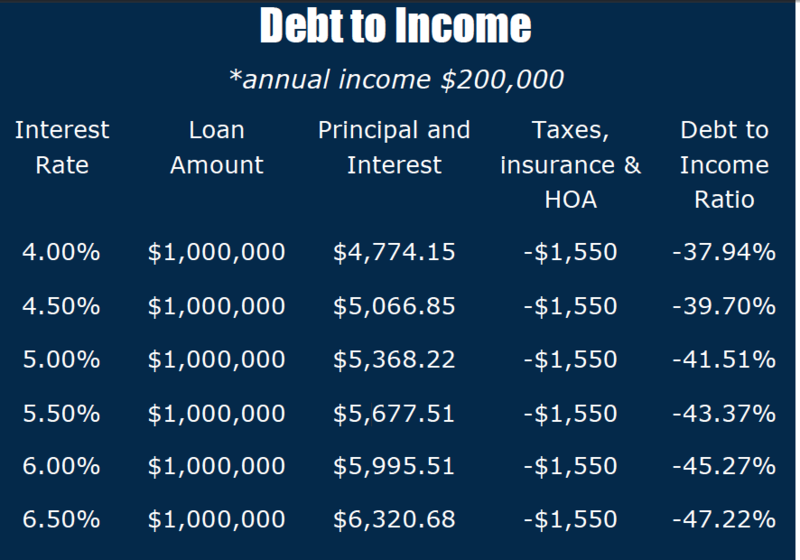 Keep in mind, most lenders have a maximum monthly Debt to Income ratio of 43% . 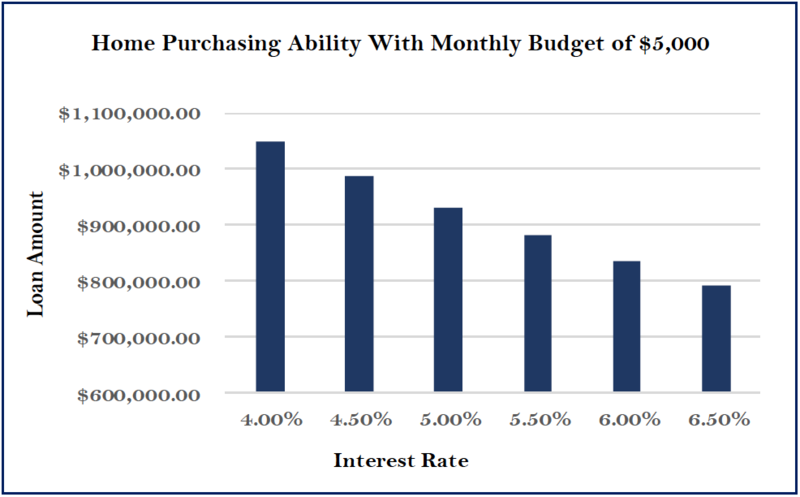 Another way to illustrate the impact of interest rates is to look at the buying power of a set monthly budget of $5,000. The “Home Purchasing Ability” chart represents home purchasing ability based on this $5,000 monthly budget. 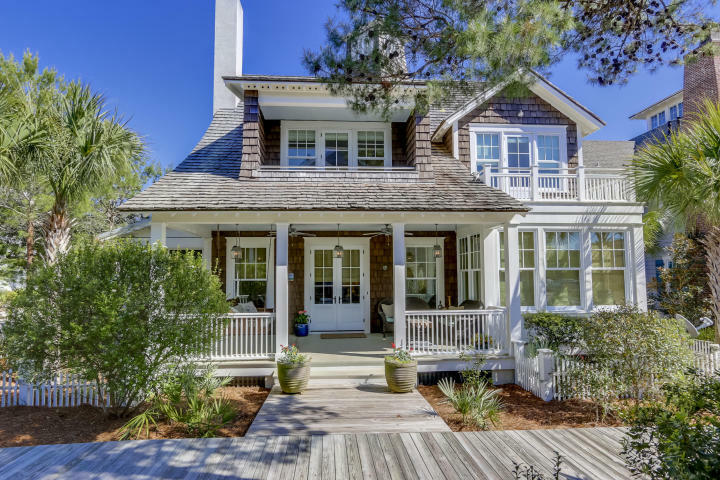 For more information on financing your beach home, whether it be a primary residence, second home, or investment home, please contact Kav Tucker at Walton Funding. Kav Tucker is owner of Walton Funding, and a guest writer for Explore30A.com. 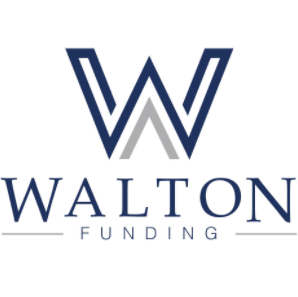 Explore30A and Walton Funding are separate unaffiliated businesses. 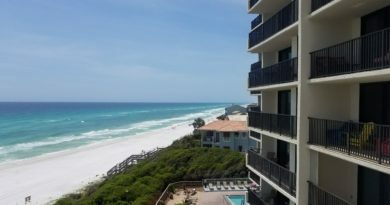 If you are interested in buying or selling in the 30A or Destin areas, don’t delay. Take advantage of your buying power. 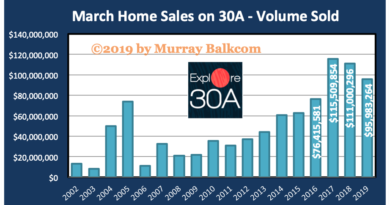 Please contact Murray Balkcom to learn more about how to use my experience to make the best purchase or selling decisions.